So guys, we know it seems like Easter has come out of nowhere BUT that means the Easter Show is in town!! Happy dance! So we thought we'd fill you in on the vast array of incredible and adventurous food options. 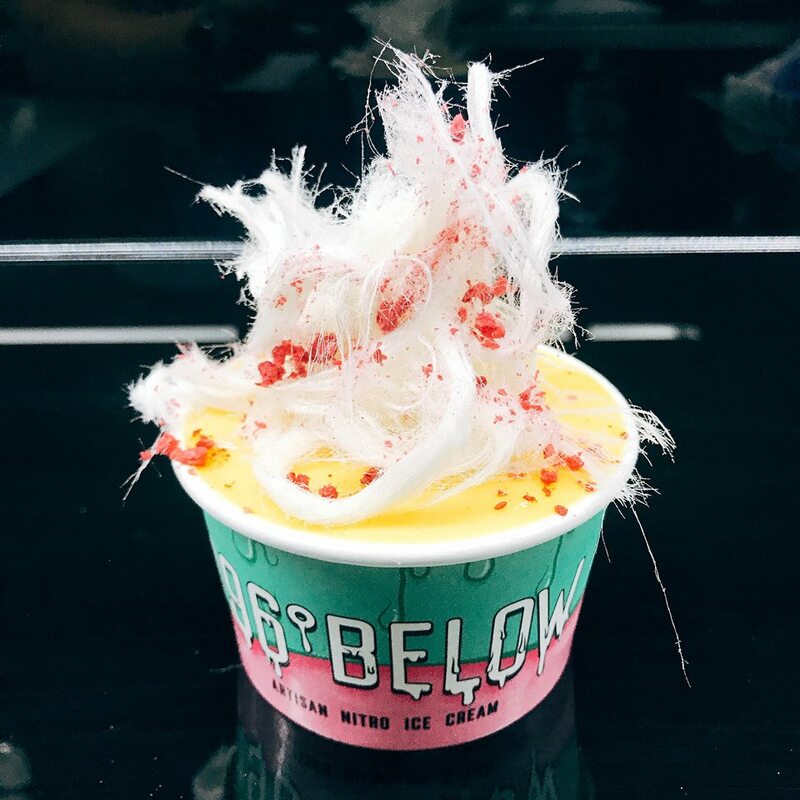 So put down the Chip on a Stick and check out some of these amazing (and down right wacky) treats. Insiders tip: come on an empty stomach and wear stretchy pants. The Stables is awesome and this year the Sydney Royal Beer & Wine Bar is calling the Stables home. 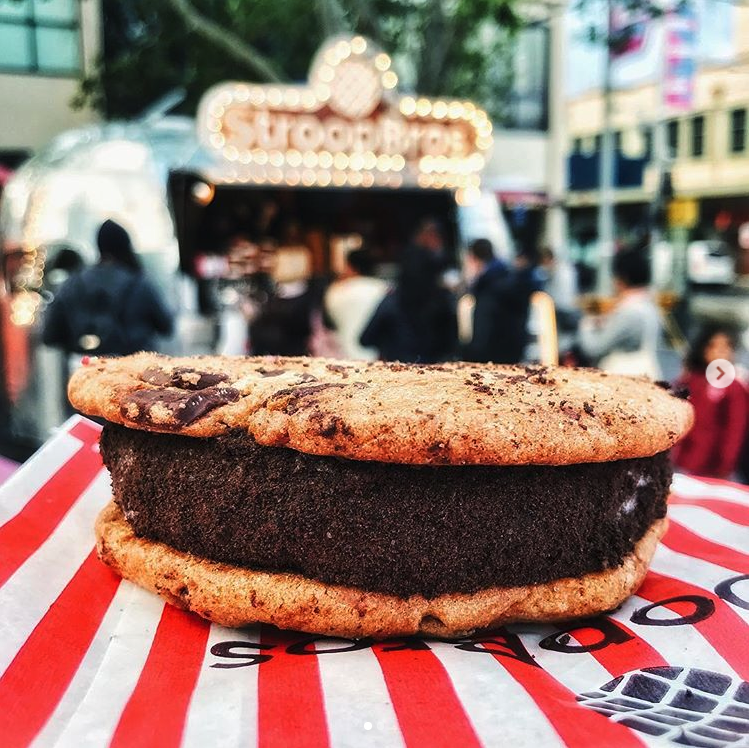 The venue will also feature pop-up eateries, chic food stalls and the Sydney Royal Corner Store. You can grab a beer, cider and wine by the glass or try something new at the whisky, gin and rum bar. We know where we’ll be. Upstairs is the Stables Lounge where you can escape the hustle and bustle of the show. A perfect meeting place. You’ll find De Costi Oyster & Tyrrell's Wine Bar in the centre of the Woolie’s Dome. Fresh caught prawns and oysters while supping some of Australia's finest vintages from award winning Tyrrell's Wines. If you like to eat food on a stick, in a cone or deep-fried then boy do we have some news for you. You’ve heard of the cheese on a stick, pizza in a cone, coffee in a cone and the chip on a stick BUT have you heard of the Mac on a stick (that’s Macaroni and Cheese on a stick FYI)?! 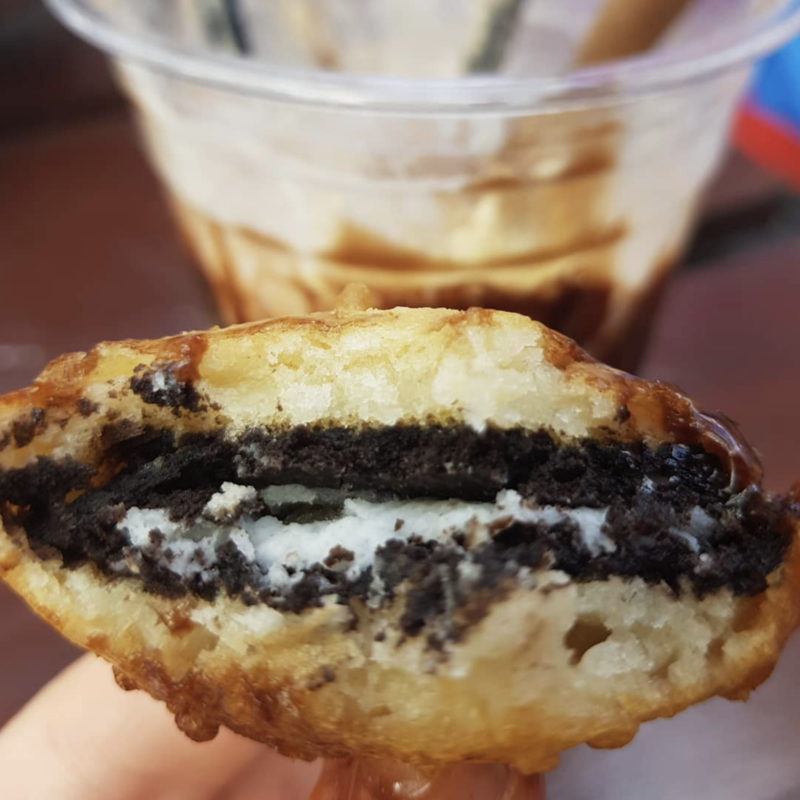 Also, the headline grabbing deep-fried lasagne from last year is back alongside a range of other deep-fried options including the Deep-fried Oreo and the Deep-fried Cheese Cake (which you'll be pleased to know, is also on a stick). The new addition for 2019.... the Hawaiian on a stick - it's a ham and pineapple pizza on a stick! Yep, that exists. There's definitely no shortage of interesting options for the brave foodies. 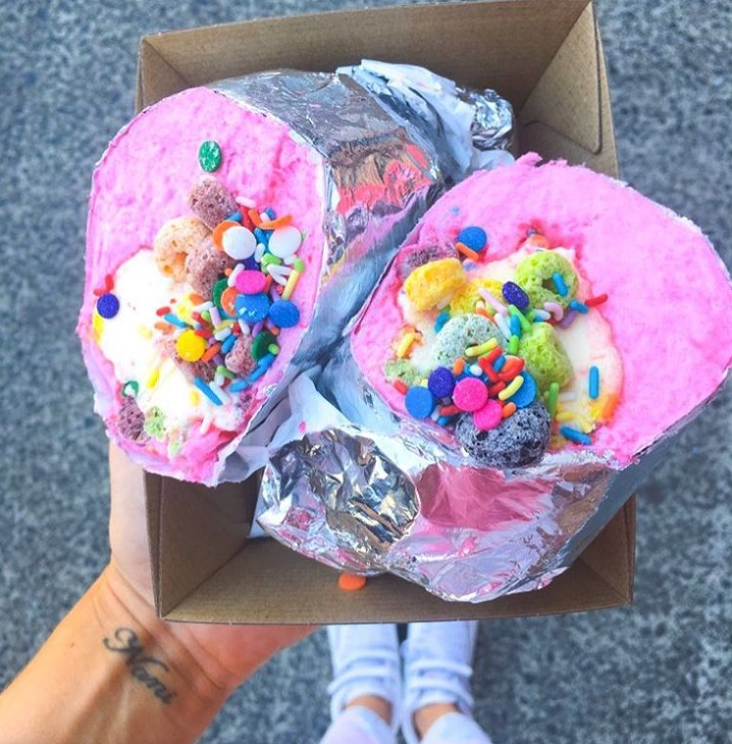 Let us introduce you to the flurrito which for those playing at home, is a fairy floss burrito and yes it looks exactly how you'd imagine. 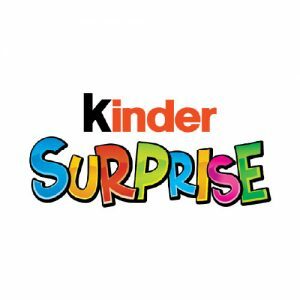 There's also custard bombs, unicorn buns, liquid nitrogen ice cream and the world's largest fries. All the foods you didn't even know you were missing out on. 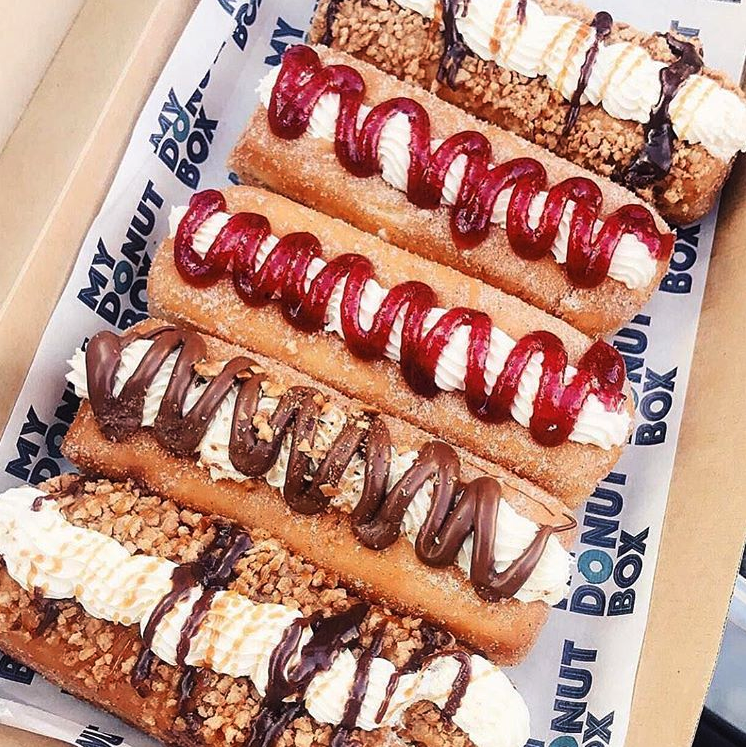 My Donut Box are returning to the 2019 Sydney Royal Easter Show with their Nutella Donut Ice-Cream Cones. Frickin’ delish. 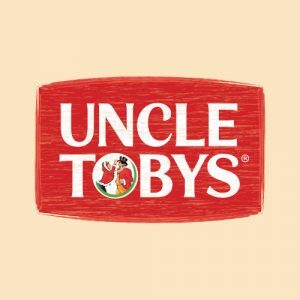 Relax in an old rustic barn while trying the Show’s new and unique food offerings including big smokers, fire pits and roast pork at Cathy Freeman Park. With loads of seating and shade, the Tucker Box will be the perfect spot to relax and enjoy a tasty meal! Yep, there are even showbags fit for even the pickiest foodie. 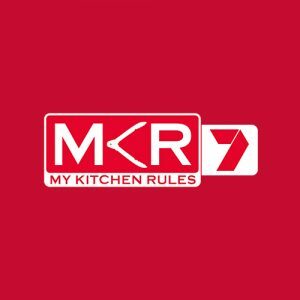 The My Kitchen Rules (MKR) Showbag features a choice of branded MKR merchandise including a large Cooler Carry Bag, and a choice of 2 items from a Round Chopping Board, Water Bottle and an apron alongside a range of MKR approved food products. There’s also the Arnott’s Tim Tam Showbag with 5 packs (delish!) and of course, the ultimate showbag for any show-goer, The Bertie Beetle Showbags ranging from $2 to $15. 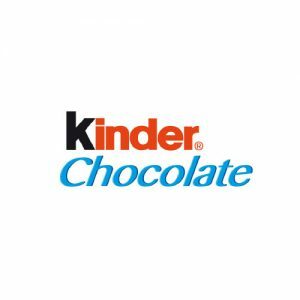 New to the Showbag Hall this year is the Kinder range. 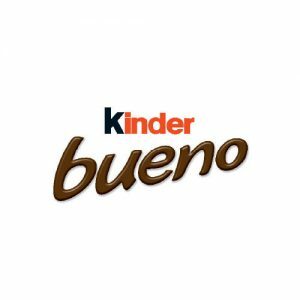 Treat yourself to a Kinder Bueno Showbag for only $10.